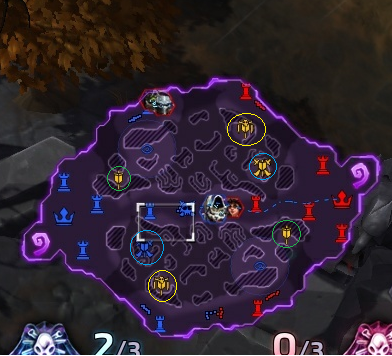 Usually mercenary camps are between lanes so it's not obvious which lane they will join once captured. ...at which point the mercenaries will run to the nearest lane and spring into action for the team. Mercs camp will join the lane that is nearest their base.